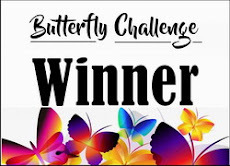 Thank you to Mrs. A for inviting me to be a Guest Designer for the challenge and I was delighted to accept. I have been crafting all my life since a small child when I made scrapbooks and learned to knit. I have been paper crafting for many years now and my favourites are scrapbooking and art journalling, and messy inky stuff! 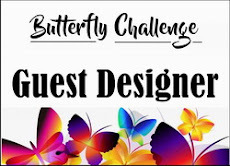 Over the years I have been on several Design Teams on various challenge blogs and also ran my own one too. I have over the last year or so got back into crocheting and knitting so as well as a craft room with a small paper mountain in it I now have yarn mountains too! Lesley has chosen the following letter for you. #31 Butterfly/ies + D is for Doilies. (ie. paper cake doily, a die cut one or a stamp ). Here is Lesley's project for you. fun getting all inky and messy for. Please visit Lesley here for full details. 3 new players joined in the fun. I'm very happy you came by. 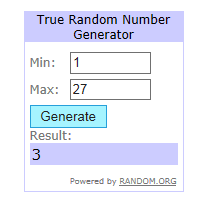 You all made my choices so hard to make. 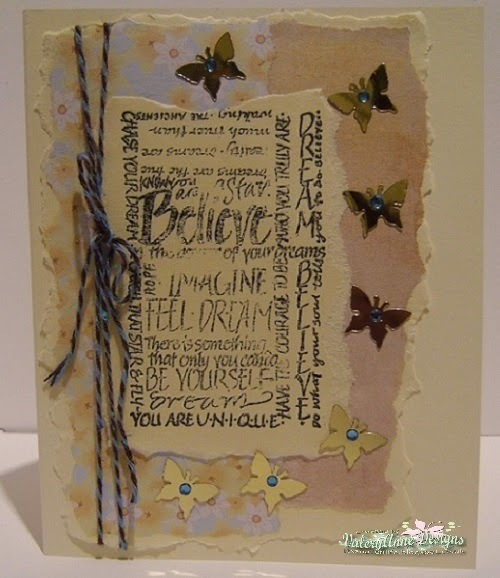 topped with a gorgeous vellum butterfly. will be winging it's way to you. Hope to see you back in #31. #30 Butterflies + J is for Jagged edges. Hi. 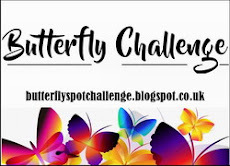 I was delighted to be invited as Guest Designer for the Butterfly Challenge #30. I am married with five sons, seven grandchildren, five of them boys, and two great-grandsons. But since 2009, Chris and I have lived in Andalucia, S.Spain, and our family consists of three dogs and four cats, all rescued animals. I have been crafting in one way or another all my life, but since my retirement in 2007 it has become my main hobby. 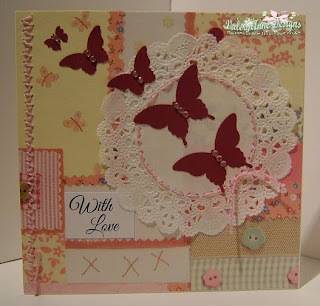 I started in papercraft with stamping and then was so excited to discover heat embossing! Now I love incorporating die cutting, and making my own cut-outs with my Silhouette Cameo machine. I mostly make cards for personal use, but also dabble in scrapbooking, knitting, crochet, lace-making, and also photography. I follow online tutorials to improve my skills and I love to learn about new materials and techniques on the internet, and usually try them at least once. 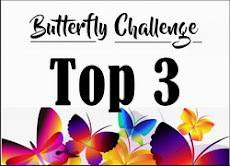 So I am looking forward to seeing what techniques you have used for this challenge. Kate has chosen the following letter for you. #30 Butterfly/ies + J is for Jagged edges. Here is Kate's card for you. Kate has gone with torn edges around her image. as a frame and what gorgeous colours. Please visit Kate here for full details. 4 new players joined in the fun. I'm very happy to see you all. with a stunning slice of cake. Hope to see you back in #30.